Samsung has announced the Gear S3 Frontier and Gear S3 Classic as the smartwatches to beat in 2016, but the public has yet to look on these smartwatches except in press photos (which can be deceiving to the naked eye). 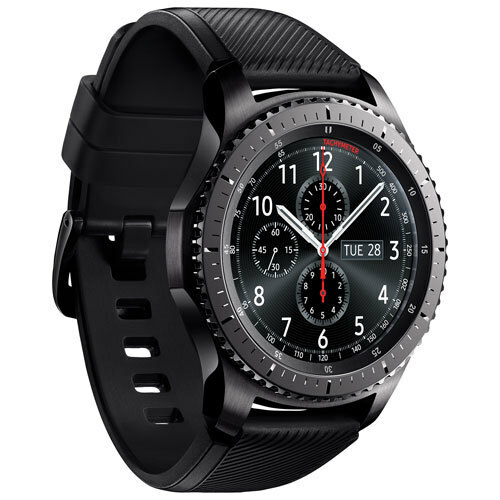 Well, it looks as though interested buyers for Samsung's next-generation Gear S3 smartwatches won't have to wait too much longer: Best Buy Canada now has the Gear S3 Frontier and Gear S3 Classic available for pre-order. 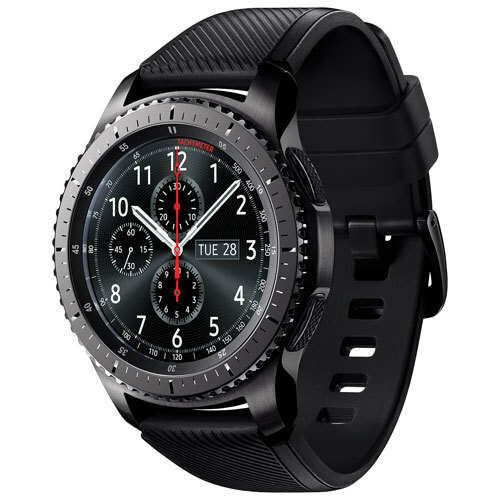 Best Buy Canada has the Gear S3 Classic available for $469.99 and the Gear S3 Frontier available for the same price (in Canadian dollars, of course). We know that the Gear S2 Classic and the regular Gear S2 were $299.99 (Bluetooth model), $349.99 (Gear S2 3G), and $399.99 (Gear S2 Classic) when they launched, so we can only speculate as to what the prices will be this time. It's possible that we could see a slight bump in price, though it's best with these things to wait until you hear it "from the horse's mouth," as I've heard it said. 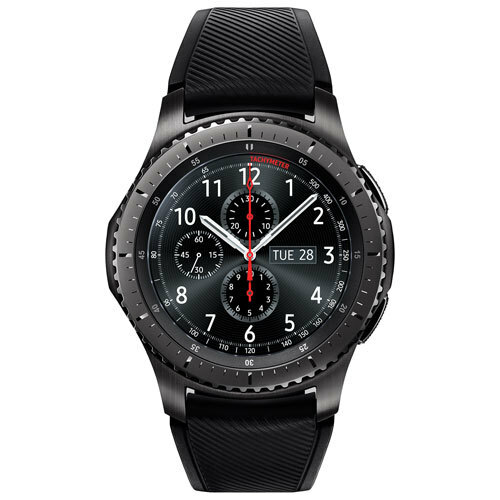 The Gear S3 Frontier and Gear S3 Classic feature 1.3-inch, Super AMOLED displays with 360 x 360p screen resolution and Corning's Gorilla SR+ glass panels ("SR" is acronymic for "scratch resistance"), Samsung's own Exynos processor, 768MB of RAM, 4GB of internal storage, and a 380mAh battery that Samsung says will provide 2-4 days of moderate to heavy use. The specs themselves are slight bumps from the Gear S2 last year, but like the award-winning Gear S2, the Korean giant has done its best to nail the design of its sixth-generation smartwatch. The Gear S3 Frontier and Classic are considered by most women to be "men's smartwatches," but I have yet to find the female smartwatches on the market (such as Huawei's Watch Jewel and Watch Elegant) all that convincing to wear (I'm not a fan of the "female bling," anyway). Samsung's upcoming smartwatches will feature Samsung Pay, the company's mobile payment service that lets you pay from your wrist, along with updates to Tizen, Samsung's homegrown mobile OS. 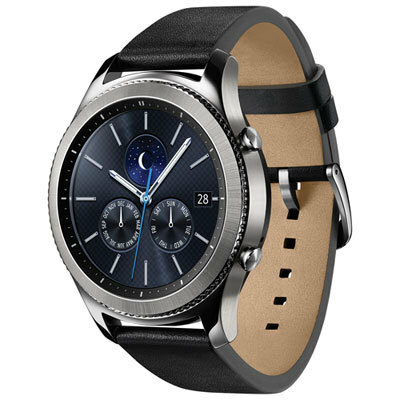 Despite the arrival of the Gear S3, however, Samsung intends to continue supporting the Gear S2 lineup and will bring Samsung Pay to its year-old smartwatches as well. iPhone compatibility (out of beta, hopefully) and VR remote support are two tech goodies in store for Samsung's Gear smartwatches in the not-so-distant future. 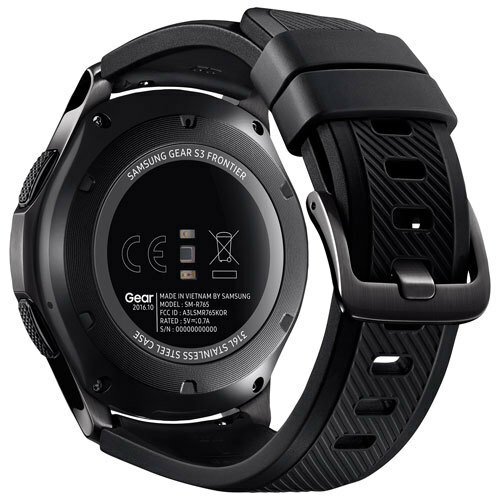 The Gear S3 Frontier and Classic are expected to be available for mass sale on November 18th, and will ship on November 19th. Regardless of what you think of the price, these two smartwatches will still be waiting for your money and will be hard to pass up. Will you pick up the Gear S3 Frontier and/or Classic, regardless of price? What smartwatch price is ideal for you? 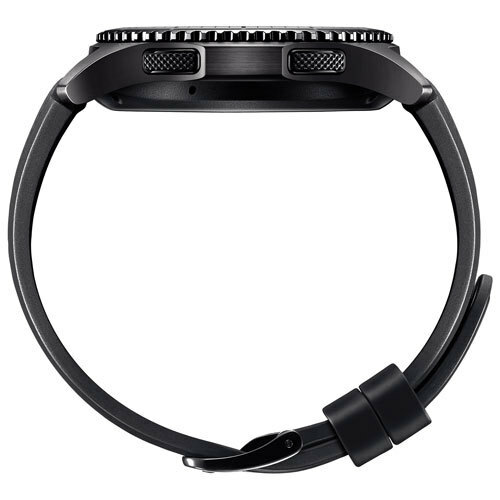 What price point would motivate you to buy a Samsung Gear smartwatch?